Dr Dabber Boost vaporizer - finally a portable for waxy concentrates! The Dr Dabber series is considered by many to be the best line of wax pen products on the market today due to their efficiency, longevity, ease of use, and superior vapor quality. Truly, this brand revolutionized the industry with their impressive line of products. Now, Doctor Dabber has set their sights on changing the world of portable vaping with their Boost Vaporizer, a portable vape with the same high quality standards as other known Dr Dabber products. The Dr. Dabber Boost is the first battery-powered dab rig for waxes, a titanium nail like you would use in traditional glass dab rigs. The device heats to needed temperature with a use of a simple button, making the easiest dabbing solution available. Click the power button 3 times to use with the titanium naill, or click 5 times to unlock a higher temperature for use with the quartz nail which is also included. The Boost provides dabbing experience perfectly when attached to the glass water filtration piece which is included with the kit. Capable 50+ uses on a single battery charge, the Boost eRig is the best - a portable dabbing experience without any sacrifice. With the Dr. Dabber Boost eRig vaporizer, it's possible to enjoy oily concentrates without being attached to a cord or having to replace coils and wicks. It is the world's first fully portable eRig for vaporizing wax. Just place a dab on the nail, turn the unit on, wait for the white light to turn green, and you're ready to vape! Simple, easy, fast! Like any Dr Dabber wax pen, the Dr. Dabber Boost features the best quality components. The nail is fabricated out of titanium, a durable, nonreactive metal that doesn't alter the taste of vapor, and is strong enough to resist wear and tear. 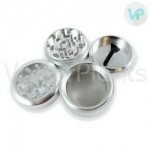 The stainless steel cap included in the design is magnetized, eliminating the risk of spills and messes that are all-too-common with wax dab nails. Powered by a 2500mAh battery, the vape gets hot quickly and requires just 30 seconds of use for a satisfying session. Because its battery is so powerful, it can be used 50 to 60 times before it requires recharging. A magnetic stand keeps the vape upright between uses, and when it's time to recharge, you can do so quickly with the Micro USB charging functionality. Knowing that many people prefer their vapor to be filtered with water, the experts at Doctor Dabber include a glass water attachment with the Boost kit. With this accessory, you can enjoy smooth, cool vapor that is richly flavored, incredibly potent, and free of impurities. The glass craftsmanship maintains the highest possible vapor purity. With the Boost eRig, you'll also receive two silicone storage jars for your concentrates, alcohol wipes for cleaning, and an extra titanium nail for maintenance. Touch tip of the tool to a nail once color of light changes, then begin to draw through glass mouthpiece. Once everything has melted off the tool, flip cap tool around and place carb cover on top of the nail to increase vapor density. To clean glass parts, first remove them from the eRig and slowly pour 99% isopropyl alcohol into the mouthpiece until it is about quarter full. Shake the glass gently until clean. Pour water into the mouthpiece until all of the alcohol is flushed, and to remove all of the water from the part, blow through mouthpiece and shake gently. The Boost is a cool little portable dab rig, you will really like it's performance. A 1 year warranty covers the battery, charger and all electrical components and glass is not covered under any warranty. If you have any issues with your Boost vaporizer purchased from VaporPlants.com, please do not hesitate to contact us and we will help you with your case. If the defective part cannot be fixed, we will help you in replacing it. 5 Stars - Review by Wendy H.
Overall, the Dr Dabber Boost vaporizer gets a ten out of ten from me. Clean hits - Review by Charles G.
Overall, this is a really great vaporizer that I do not want to ever stop using. I recommend this vaporizer to anyone who wants to experience their rig but in a vape form. I love the fast heating time and the clean hits that it gives me. I feel like because of the low temperatures it is really good about keeping all of the flavor. But, it still does not release a lot of smell which is great. It’s really nice to hold and feels solid and well built. Chamber is huge - Review by Albert V.
The chamber is huge and makes it great for packing in a lot if I want to vape with a friend. If I want to vape alone it works great as well. Whichever one I choose I don't have to worry about it dying in the middle of a session which is a problem I had with a lot of other vapes for wax that I have tried out. Best wax vaporize - Review by Tashia B. The Dr Dabber Boost is the best wax vaporize that I have ever purchased. I love everything from the elegant case to the elegant vape itself. Blew me away - Review by Michael J. It is a little tall which makes it hard to conceal if I want to take it to a friend’s house or something, but other than that, the Dr Dabber Boost blew me away. The battery lasts for many hits and it only takes one or two before I need to set it down anyway. Best one on the market - Review by Joshua G.
The Dr Dabber Boost vaporizer is one of the easiest vapes that I have ever used or cleaned for that matter. This vaporizer is really top notch. It is by far the best one on the market. The price is right and made a great addition to my dab rigs. The nails are so big which makes it easier not only to vape, but to clean as well. It is super user friendly and does not really have a learning curve that goes with it. The temperature is perfect and it gives me nice low temp dabs every time that offer me great flavor and a hardly any smell. It doesn't take long to charge at all. Easy to clean - Review by Freddie A.
I love that the chamber is so easy to clean. It uses up all of my material also so that I am not wasting any of it. E-rig is exceptional - Review by Edward H.
I bought the Dr Dabber Boost vaporizer after being let down by another company and I am so glad that I came upon it. This vaporizer is really one of a kind. It makes dabbing as easy as a click or two to get it going and to get it vaping. It has a super fast heat up time that takes just a few seconds it feels like and when I need to charge it, it doesn't feel like it takes forever like some of my other vapes do. This vaporizer is exceptional in every way and has unbelievable flavor! Big chamber - Review by Virginia E.
Boost has a big enough chamber that I can vape alone or vape with a friend if I want to. The taste is outstanding and it has a really low profile when it comes to the smell. This is important because I live with people who I do not want to disturb with the smell when I vape. A great device for a great price. Ready to go - Review by Debra J. The Dr Dabber Boost heats up in no time at all and is ready to go when I am ready to dab. It has a really long-lasting battery and I have never had to worry about it breaking down on me when I vape. Buy it - Review by Deanna T.
I would definitely buy the Dr Dabber Boost again if I needed to but I imagine this is going to last me for a long time. Solid hits - Review by Allan L.
This Dr Dabber Boost vaporizer really is a powerful vape that absolutely rips. I do not have to take more than one or two dabs off of it to get where I wanna go. It helps me conserve my material that I spend so much money on which is important to me. It also makes the battery of the Dr Dabber Boost vaporizer last longer. It gives me solid hits that produce a lot of clouds and each one feels really substantial. The vapor is smooth even if it is a little bit on the warm side. I loved everything from the package to the dabber itself. Nice design - Review by Dabs T.
I only have to take a dab or two before I have to put down the vape and take a step back from it and recover. It is that powerful and strong. I have used a lot of other kinds of dab vapes but not a single one compares to the Dr Dabber Boost vaporizer. This vape has a wonderful flavor and gives you very little smell, which is great for when I want to take it in the car or to a friend's house. I also live in an apartment so that is important to me as well. It has a nice design that is super sleek and modern looking, and it looks great with the rest of my setups. The best - Review by Joyce M.
The Dr Dabber Boost is the best. Very potent - Review by Terry V.
Boost lasts for as long as I want it to last for. I highly recommend this product to anyone who wants something that is reminiscent of their favorite dab rig but ten times better and ten times as potent. Favorite dabbing vape - Review by Henry M.
Dr Dabber Boost erig is my new favorite dabbing vape. 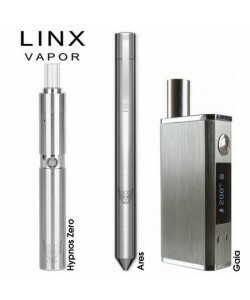 I have never used a vaporizer or any kind of rig that works as well as this vape does. It is really great and gets the job done with only a hit or two which is great cause I don't have to worry about wasting my material. Because it only takes so little to get the desired effects, I don't even have to worry about the battery life of the Dr Dabber Boost vaporizer. Finally, vaping wax is easy and could be done on the go. The unit is large, but it is a an eRig, due to a larger great battery I am able top use it over 50 times. Excellent vaporizer by Dr Dabber. I have been using their Dr Dabber Ghost Vape Pen for over a year already, and now will only use Dr Dabber Boost e-Rig at home and Ghost when outside of the house. Definitely recommend this device to all of your wax and oil vaping enthusiasts!! !